Legend of Korra: Pro-bending Arena Kickstarter Launching September 13th! 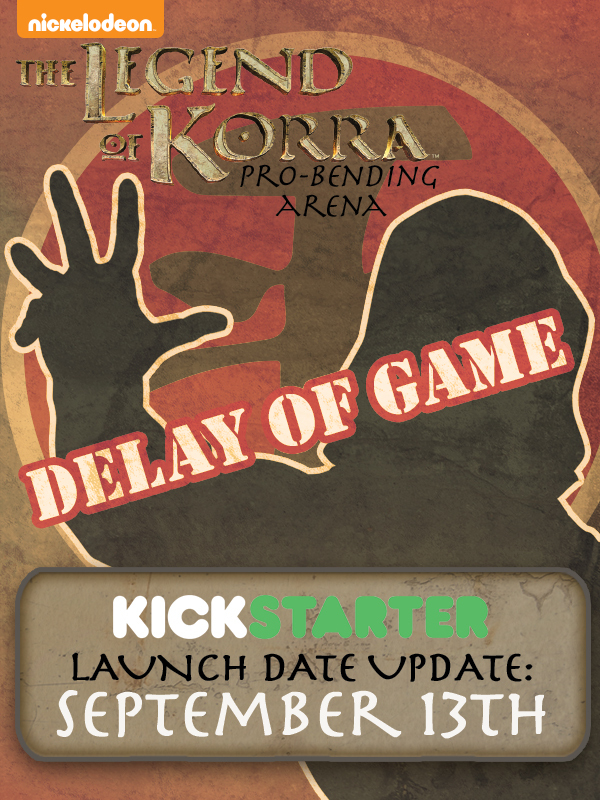 The Legend of Korra: Pro-bending Arena Board Game Kickstarter will be launching on September 13th at 10am PST. IDW Games and Nickelodeon are excited to bring the Legend of Korra to the tabletop with The Legend of Korra: Pro-bending Arena Board Game. Previously, it had been announced that the Kickstarter campaign would be launching today, September 6th, but as there have been some exciting additions to the game, we are moving the campaign to September 13th to create a much more compelling crowdfunding experience. We are looking forward to sharing Pro-bending on the tabletop with fans and gamers, and will be previewing more as we get closer to the new launch date. So please stay tuned to our social media and sign up for the newsletter to receive the announcement for the campaign launch next week! Thank you for your understanding and get ready for some Pro-bending! ← Play IDW Games at FAN EXPO CANADA and PAX WEST this Weekend!